1. Who Are They Affiliated With? Good word of mouth means a lot when it comes to a reliable AC service, and that starts with positive reviews from happy customers on places like Yelp!. But quality companies will offer much more than that. The official endorsements of companies that produce air conditioners (such as Honeywell and Mitsubishi) is a mark in their favor, as is any endorsements from local Chambers of Commerce. But there are two specific affiliations from sterling third parties that you should always watch for. The first is the Better Business Bureau (BBB), the gold standard for determining quality companies for decades. The other is NATE, which stands for North American Technician Excellence. They provide objective testing services for air conditioning companies, and their endorsement signals a first-rate company to work with. 2. Have They Been Around Awhile? There’s nothing wrong with being a freshly minted company. We were all beginners at some point and indeed, companies with just a few years service may be quite eager to prove themselves. But a company that has been around for a long period of time–say a couple of decades–has a track record for success that you can rely on. It means they have a loyal customer base who has come back to them again and that the quality of their work has allowed them to succeed. 3. Do They Offer Estimates Up Front? This is perhaps the most important aspect of any repair company worth its salt. Reputable companies will offer estimates up front and stand by their work. That way, you know how much is involved before any work begins and you won’t receive any nasty surprises in the middle of repairs. 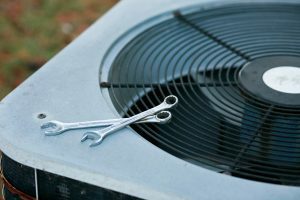 For quality air conditioning repair services throughout the Avon, OH area, call the friendly pros at Westland Heating & Air today!